How will this redevelopment impact traffic? Siesta Promenade will not be a regional shopping center destination. At less than 140,000 SF, the small retail space is oriented to serve the neighborhood it is in and capture existing traffic that is already passing by the site currently. Still, we understand traffic is one of the top issues of importance to the community, and the current plan has incorporated significant measures to ensure safer, more efficient vehicular flow while balancing the competing interests of the neighborhood, development, and community at large. 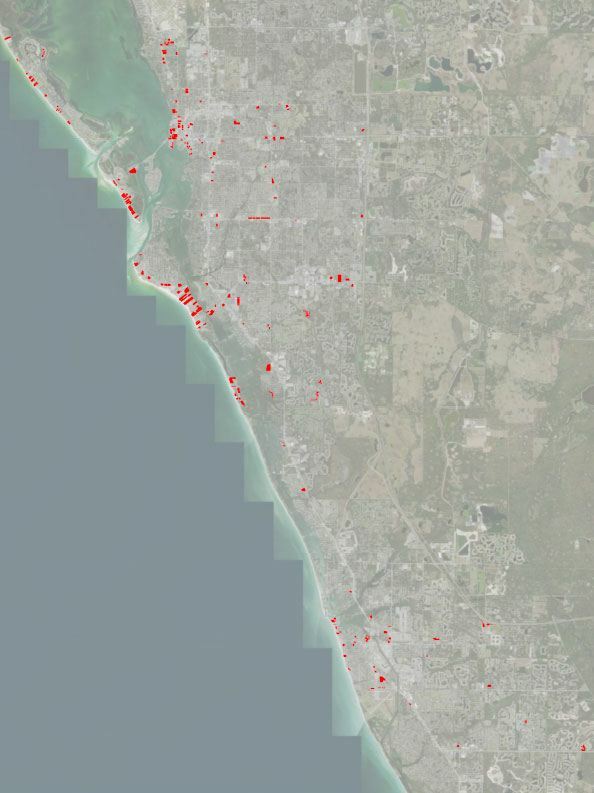 A detailed traffic analysis thoroughly reviewed by the FDOT and Sarasota County found Siesta Promenade will generate approximately 602 net, new external weekday p.m. peak-hour automobile trips and 811 net, new external Saturday peak hour automobile trips, acknowledging the internal capture, pass-by capture, and multi-modal interaction that will take place. However, when compared to a development allowed with a Commercial General rezone (150 hotel rooms & 250,000 SF retail), the current proposal creates 20% fewer weekday peak-hour trips and 24% fewer weekend peak hour trips. This difference underscores the fact that the current mixed-use CAP plan proposed is the right mix of uses for the area. For a detailed list of the traffic improvements proposed and the various shuttle and transit amenities proposed, please click here. What environmental remediation has taken place on the site? Benderson acquired the property as a rundown 300+ unit mobile home park, office building and contaminated gas station. The contamination was caused by a discharge consisting of tetrachloroethene discovered during an internal sampling event. This soil and groundwater contamination was remediated and site rehabilitation requirements were satisfied to revitalize the environment according to standards set by the Florida Department of Environmental Protection (DEP). Read the Florida DEP’s Site Rehabilitation Completion order here. Are there developments of similar density nearby? Yes. There are numerous examples of developments throughout Sarasota County with a density greater than 20 units per acre, as shown by the map below. How does the height of Siesta Promenade compare to the height of the Vue downtown? The Vue is a 19-story building with a rooftop bar situated with little setback from the street. 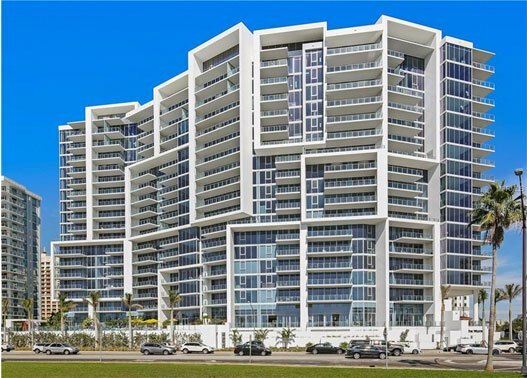 Siesta Promenade’s tallest residential building is 65 feet, or 5 stories, situated 100 feet from Glencoe Avenue. This building is also wrapped into the center of the development so building heights transition down to the surrounding neighborhood. Code allows building heights of 35 feet as of right and up to 85 feet by Special Exception for this site. What retail and hotel tenants will occupy the space? While specific tenants are not yet available, retail space is intended for services such as a grocery store, restaurants and small shop space. Please stay tuned for exciting announcements as the project progresses. Benderson Development’s hotel company, Buffalo Lodging, owns and operates nearly 50 hotels across the United States. This extension of the family business is the recipient of numerous accolades, including the 2017 Torchbearer Award, InterContinental Hotel Groups’ most prestigious award; The Radisson President’s Award for 6 consecutive years; Marriott’s Platinum Circle Award; Choice Hotels Gold Award; Hilton’s CEO Light and Warmth Award; Hilton’s Circle of Excellence Award. Are pricing & floor plans available for the residences? At this time specific floor plans and unit pricing are not yet available. Please check back for updates or email info@shopdinelivesiesta.com to receive this information by email as it becomes available. Are any apartments designated as affordable housing units? Yes, 15% of the residential units above base density at Siesta Promenade will be designated as affordable to 80% of AMI households. To incentivize this provision of affordable housing, developments are often granted bonus density, which allows for a greater density level than allowed by existing zoning in exchange for the creation of public amenities, or in this case, affordable housing.